Of the “big three” US airlines, Delta has the oldest average fleet age (somewhere around 16.1 years, compared to United’s 15 years, and American’s 10.7 years). I actually think Delta has the right idea. It’s silly to buy new planes when you can instead get older planes and simply maintain them well. For example, I’d fly one of Delta’s 20+ year old Airbus A320s over one of American’s brand new 737 MAXs any day of the week. Anyway, one of the new aircraft type that Delta is investing in is the Airbus A220. This was formerly known as the Bombardier Cseries, but was rebranded thanks to a new joint venture between Airbus and Bombardier. What I find most interesting here is that Delta is increasing their order just shortly before even starting service with the aircraft type. Delta will begin A220 service later this month, so we’re seeing an order just weeks before that. In the past we’ve sometimes seen airlines order more of an aircraft type after having firsthand experience with it and being pleased with the performance, but I guess Delta is pretty sold on this plane. What’s also awesome is that this plane will be an absolute pleasure to fly. The A220 offers a phenomenal customer experience, the best of any narrowbody, in my opinion. 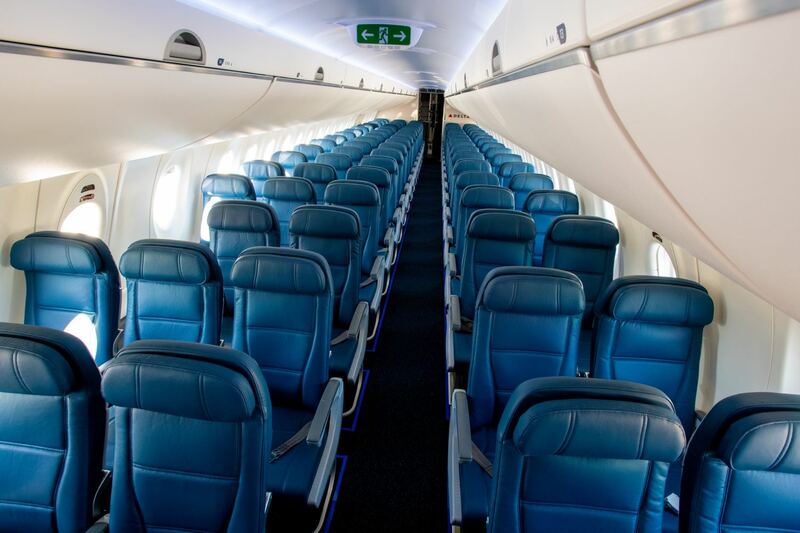 First class will be in a typical 2-2 configuration. 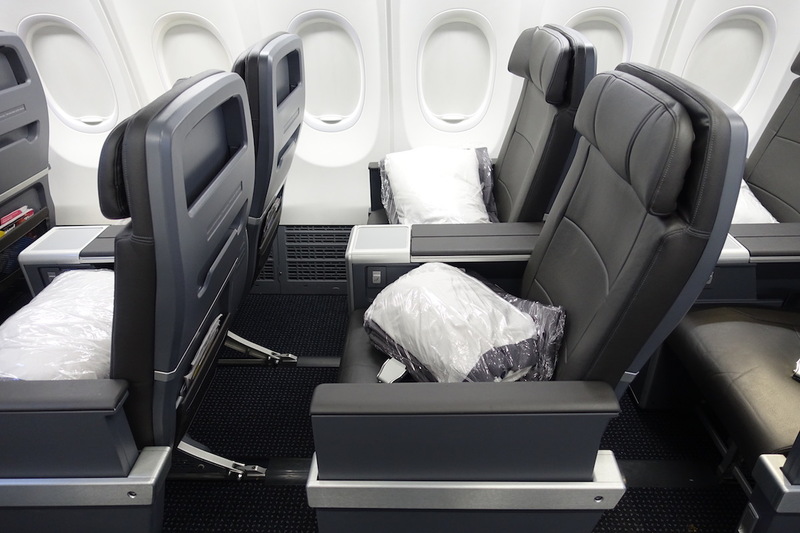 Economy will be in a 2-3 configuration, with the sole middle seat in each row being slightly wider than the rest of the seats. 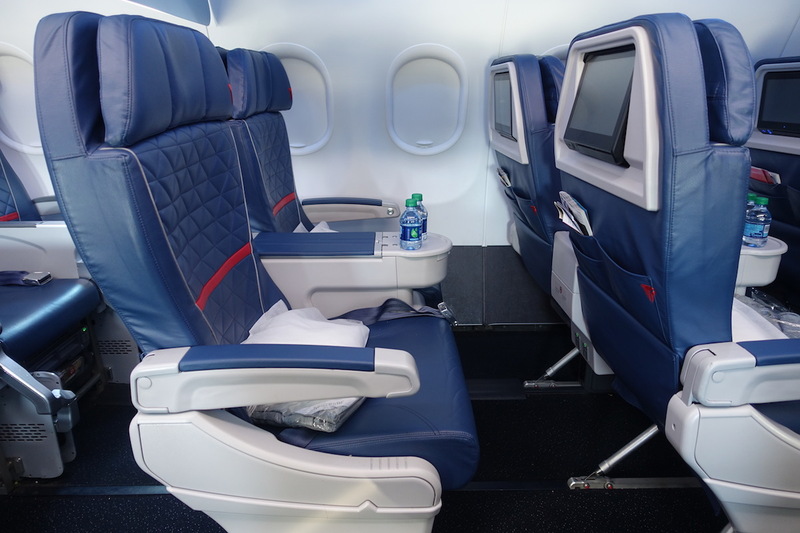 Unlike American, Delta will offer personal televisions at every seat. They will also have high speed wifi on the plane. Oh, and unlike the 737 MAX, the lavatories on this plane are not only large, but even have a window. Kudos to Delta for ordering more of this beautiful aircraft!